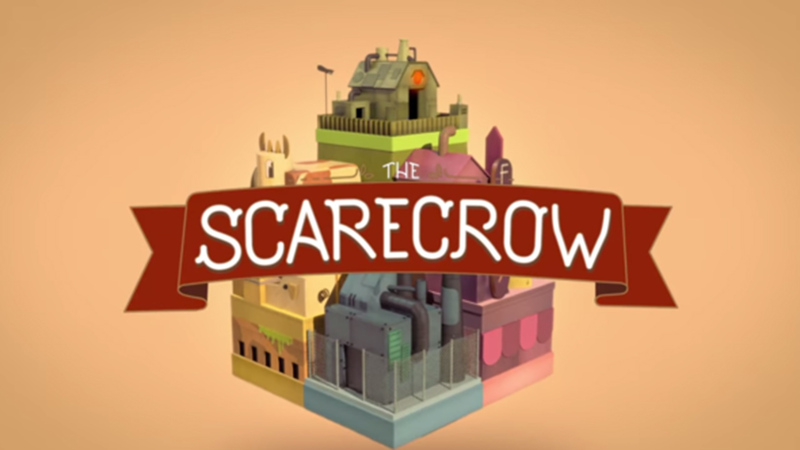 Mexican Food chain Chipotle have created a “dystopian fantasy world” with the launch of 'The Scarecrow' an arcade-style game and animated short film, which carries a serious food message. 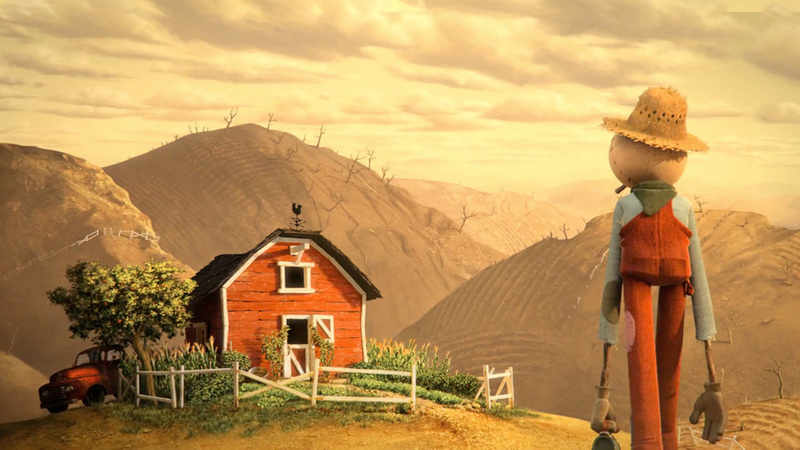 The game and film depict a scarecrow who becomes disenfranchised with the Factory Food-driven world and sets off on a journey to bring wholesome food back to the people. 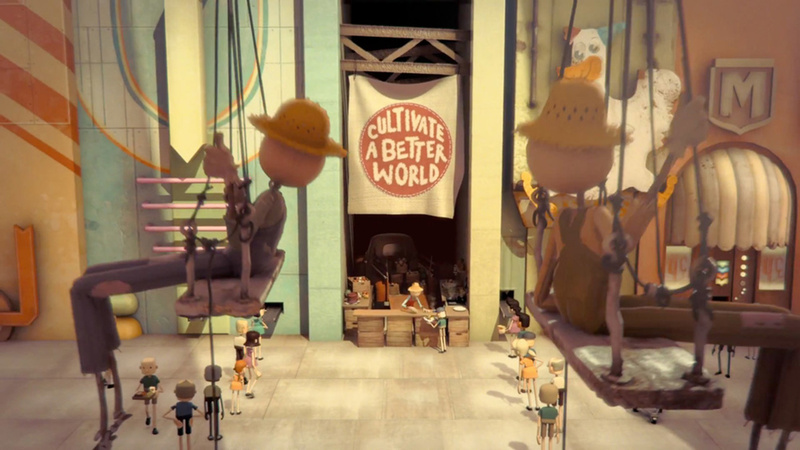 Both the game and the film aim to educate people about the ‘realities’ of industrial food production that, Chipotle says supplies much of what we eat. The film is set to an emotive cover version of the song ‘Pure Imagination’ from the iconic film ‘Willy Wonka and the Chocolate Factory,’ performed by Fiona Apple. 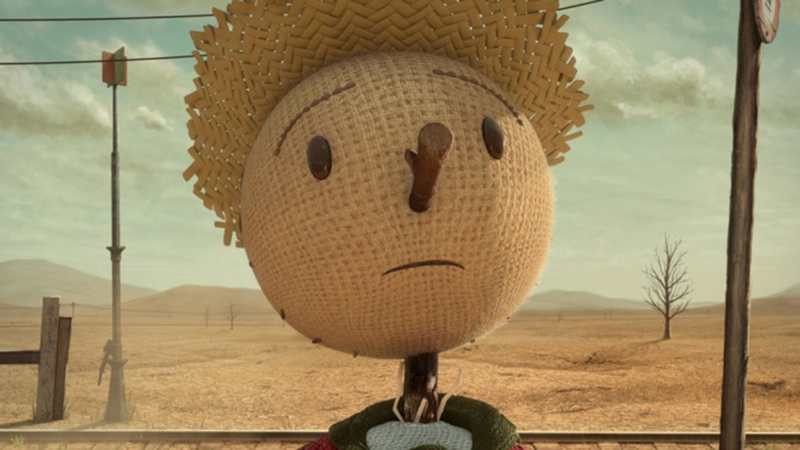 Chipotle says: “’The Scarecrow’ is at once an addicting game, a poignant short film, and a project that reflects what we believe in. The city of Plenty is a glimpse at a future that may not be far off. Processed food, animal confinement, and the use of synthetic growth hormones, non-therapeutic antibiotics, and toxic pesticides are rampant in our food supply. Chipotle has launched a dedicated site which houses the film, a trailer for the game and links to download it as well as what it calls “The Facts” which includes information about the brand and its ‘Food With Integrity’ positioning. Following up the runaway success of its ‘Back To The Start’ branded film was never going to be easy, but Chipotle have managed to take things into a darker, more confrontational place. 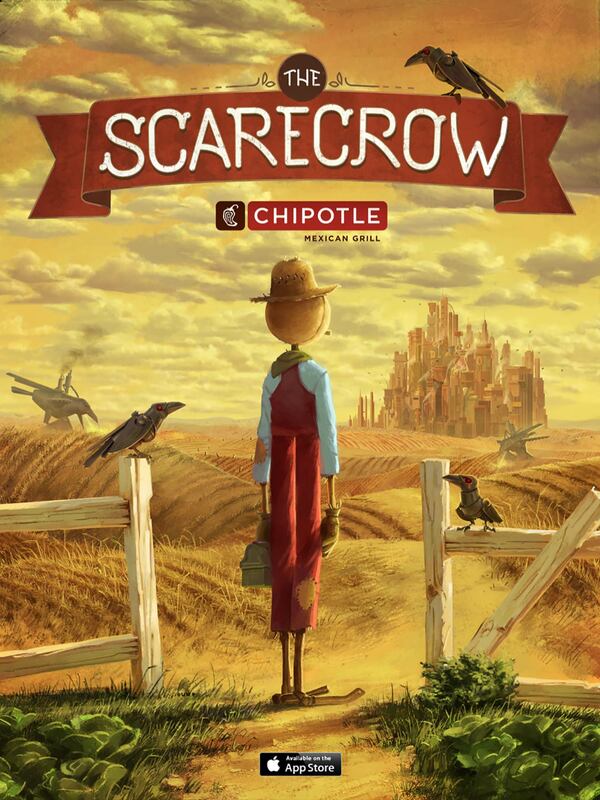 While Chipotle managed to maintain a sense of optimism and positivity, despite the serious message it was communicating in ‘Back to the Start’, with ‘The Scarecrow’, it is more pessimistic and accusational. No bones about it, Chipotle has waged war on Big Food. ‘The Scarecrow’ is a no-holds barred attack on the evil food conglomerates, who would seek to feed the people processed factory food. It’s dark and eerie and it packs a punch. Chipotle’s strategy is clear, by demonstrating the processed hell of Big Food, versus the natural, sustainable Chipotle, the Mexican Food Company is asking the viewer to choose a side; it’s us or them. It’s a very direct strategy and one that is sure to resonate with its target market of “Millennials”. Chipotle is looking to position its brand alongside the sustainable, healthy eating lifestyle that this generation are so keen on. ‘The Scarecrow’ is clearly just the beginning of an aggressive strategy to distance the Mexican food chain from its Big Food competitors. Chipotle are taking a very strong righteous positioning, in the way that only a small challenger brand can. They have set their sights on Big Food and have painted the McDonalds, KFCs and Taco Bells of the world as Evil Crows seeking to mislead the public and hide the truth behind the food from them. Key to this strategy is creating the divide, forcing people to respond and to choose a side. For younger generations who are keen to identify with causes, this message is bound to gain traction. As will Chipotle’s anti-big corporations message, its ‘Food With Integrity’ positioning and its responsible and sustainable model. What’s also fascinating is that this is not about driving people in store – despite the giveaway vouchers attached to the game – for Chipotle this is about education and positioning. This is also about building an online following, Chipotle is creating a series of long-form dark comedies, called “Farmed and Dangerous”, which it plans to launch online next year. Given the target market it seeks to appeal to, it’s clear why the brand has embraced branded entertainment and online films and apps. 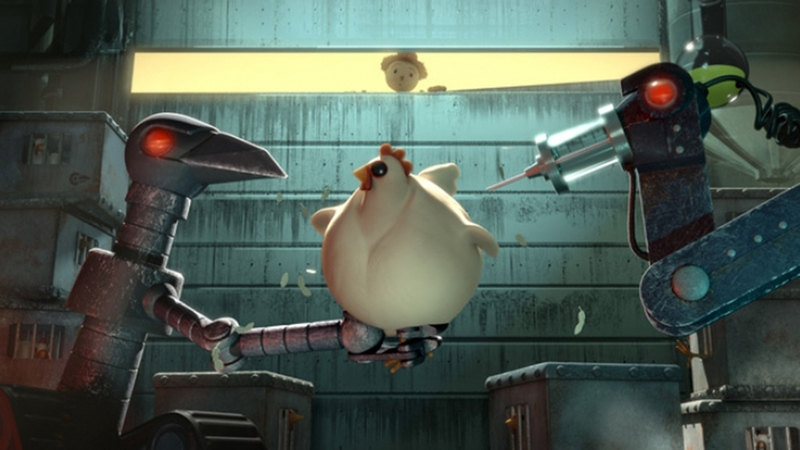 Chipotle have proven their skills as storytellers and they are banking on ‘The Scarecrow’ achieving the same levels of success that ‘Back To The Start’ received. Much like its predecessor, ‘The Scarecrow’ draws on strong powerful music, again in the form of a cover version of a famous track. The branding is light and the app offers the chance to win free food. Where this work really succeeds is in its authenticity. This is not a CSR or cause marketing, Chipotle are staking their brand on this responsible food message and their ability to stay true to this will determine their success. And a success it will be. While Back To The Start, has notched up some 7.8 million YouTube views, along with a swag of awards and a TV screening during the Grammy Awards, The Scarecrow has already received 5.2 million views since launching on 11 September. I really like this project, it has a strong point of view and a very clear message. The strategy and artistry combine to create a compelling piece of film and entertainment that perfectly fits the brand values. I particularly like the dark undertones of using Pure Imagination, a song that to generations of people conjures images of Willy Wonka’s weird and disturbed world of sugar. I like the idea that Chipotle are comparing Wonka’s deluded dreams with the dreams that Big Food outlets sell to adults and children alike. However, I can’t help but question where this brand is headed. The ground swell and interest in the brand is huge, particularly for a brand which only has a presence in the US, Canada and the UK. I can’t help but wonder how long before we see this brand pushing into other markets and how well the sustainable ‘Food With Integrity” positioning will hold up to its growth. Let’s not forget though, that this is the brand that helped branded entertainment breakthrough. It was Chipotle that proved you didn’t have to be the big brand like Nike and Coca Cola to create branded entertainment. With The Scarecrow they’ve raised the bar again. Dark and emotive, Chipotle have created a feisty branded entertainment project that is certain to find success in its polarising message.